Jan Petter Myklebust har skrevet om debatten omkring åpne kontorlandskap og aktivitetsbaserte arbeidsplasser i University World News. Concern over open plan offices is reinforced by the research of Jan Pejtersen of the Danish National Centre for Social Research on the issue of open plan offices and the impact on people’s health. 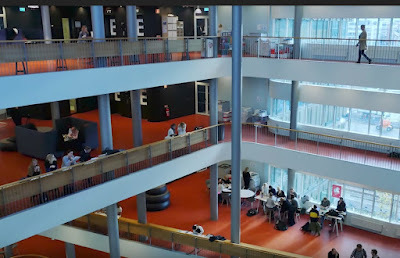 He told University World News that he would not participate in the Norwegian debate, but forwarded research he has carried out on the issue, involving large surveys of people in multiple-occupancy office space and with control groups in ordinary offices for one person. The analysis was based on a national survey of Danish inhabitants between 18 and 59 years old where 2,403 employees reported working in offices. The different types of offices were characterised according to the self-reported number of occupants in the space. The results showed that absence due to illness was significantly related to having a greater number of occupants in the office when adjusting for confounders – influence on the statistics from outside factors.